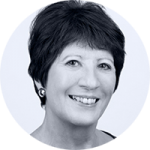 Marlene is a Certified Financial Planner Professional &, Fellow of the Institute of Financial Planning (IFP) and Chartered Financial Planner. She established her Financial Planning practice in 1991, aiming to provide a personal but professional Financial Planning Service and in 2007 sold the business. She continued as a Financial Planner and Wealth Manager, and as a mentor to other Planners. Marlene only wants to work with those who are committed to achieving their lifetime goals and objectives. She is now the Managing Director of UNIQ Family Wealth a Financial Planning company that helps families, individuals & Family Businesses cascade wealth seamlessly from one generation to another with their own personal Financial Plan. Marlene started her career as a Probation Officer and has 13 years experience in personal and counselling skills. She is immediate past President of the IFP. Marlene is passionate about Financial Planning and voices this regularly to the media. In 2009 she was awarded Best Financial Planner in the New Breed Adviser awards (supported by High Net Worth magazine) and in December 2008, Retirement Planner of the Year. In January 2009, she also won the New Model Adviser award for Wales.